Anybody who has been associated with this degenerative disease will know that Stage III C is a pretty bleak diagnosis. The tumour on my left ovary had grown so large it had attached itself to my bowel. In addition to this, the cancerous cells had also spread to my liver and abdomen. My CA125 blood count was 1,392 and not the national average of 45. Bobbie, my daughter, my best friend and my rock. I was swiftly treated with chemotherapy (to reduce the size of the tumour to a removable size), then major surgery - where they performed a complete hysterectomy, a blood transfusion and also removed part of my abdomen. This was then followed up by more chemotherapy to mop up any remaining cancerous cells. 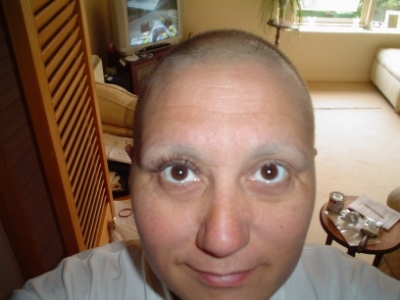 After my follow-up chemotherapy in June 2005, I returned to my office job. It wasn't long before I was back up to speed, and into a life of full time stress! Then, 18 months later, just like a bad penny, the cancer came back. My CA125 was 625. There was no tumour this time. The cancerous cells had spread to the lining of my left lung. My oncologist delivered the prognosis: it is not curable and I had between 6 and 18 months to live. The nurses booked me in for another 6 bouts of chemotherapy. Meanwhile, a friend introduced me to a company that specialise in Health Sciences. I have been taking their nutritional supplements since cancer recurrence. My CA125 marker hasn't gone above a count of 9. 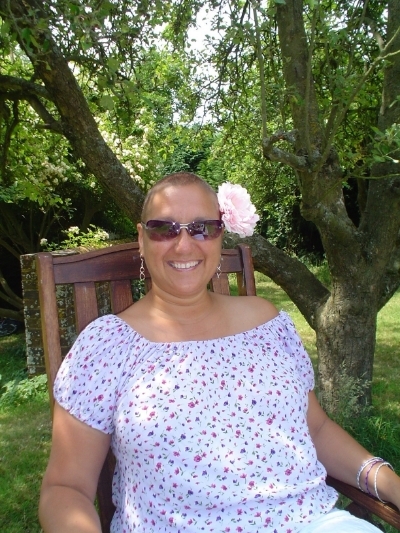 During my cancer "journey" I benefited greatly with support from the Macmillan nurses at Brighton, and Haywards Heath Hospital via a specially formulated Ovarian Cancer Support Group. This put me in touch with the Sussex Cancer Network (SCN) Partnership Group where I became the Membership Coordinator. Ding ding - round 3! July 2017, a routine mammogram detected breast cancer, carcinoma grade III. As a known BRCA1 carrier (http://www.dellaferrari.com/cruk/ ) the management of this diagnosis is being dealt with swiftly. A sentinel node biopsy procedure took place followed with 6 cycles of chemotherapy. In January 2018, the remainder of the lump was surgically removed and I took the decision to wait for surgery to have both breasts removed. With no further recurrence to date, a double mastectomy and reconstruction has been scheduled for 12th December 2018. November 2018: A recent CT scan (organised to investigate some respiratory issues) has revealed a new lump. Same breast as before, same area. Fortunately, the timing of this new found lump is perfect! My surgeon can remove the offending item when he performs the double mastectomy in December. 12th December: The anaesthetist would not approve surgery due to an ECG test revealing atrial fibrillation (AF). Surgery was postponed to 9th Jan 2019 when the cardiologist should have sorted out my heart situation. 9th Jan 2019: My breathing issues are very much better as a result of the heart medication I am now on, but on the day of surgery, the anaesthetist said the recent ECG was only borderline, but more importantly, there were no beds on the Intensive Care Ward to monitor me post operataion and therefore he could not approve surgery. 16th January: DONE! Double mastectomy with reconstruction and removal of 4 lymph nodes has been performed. Post op results revealed that one of the lymph nodes was cancerous and therefore chemotherapy and radiotherapy is now required to mop up any other rogue cells. My next appointment is with the oncologist in Brighton to discuss where and when this will take place. If you or your family have been affected by cancer, please get in touch.